Amazon Prime, General Mills, and Tyson Foods said they increased prices in 2018 due to bottlenecks in trucking — namely, a truck driver shortage. Proctor & Gamble and Hershey’s said last year that they would have to increase prices in 2019, as well. But a softening freight market and a glut of trucking capacity is unexpectedly helping sink freight rates so far this year. Last year, retailer after retailer sounded the warning bells on the rising cost of transportation — and how those costs would have to be passed onto consumers. Procter & Gamble, Hershey’s, General Mills, Tyson Foods, Mondelez (the producer of Oreos, Chips Ahoy!, Nabisco, and other consumer goods), and other consumer goods companies all told investors last year that they did or would jack up prices because of trucking bottlenecks. 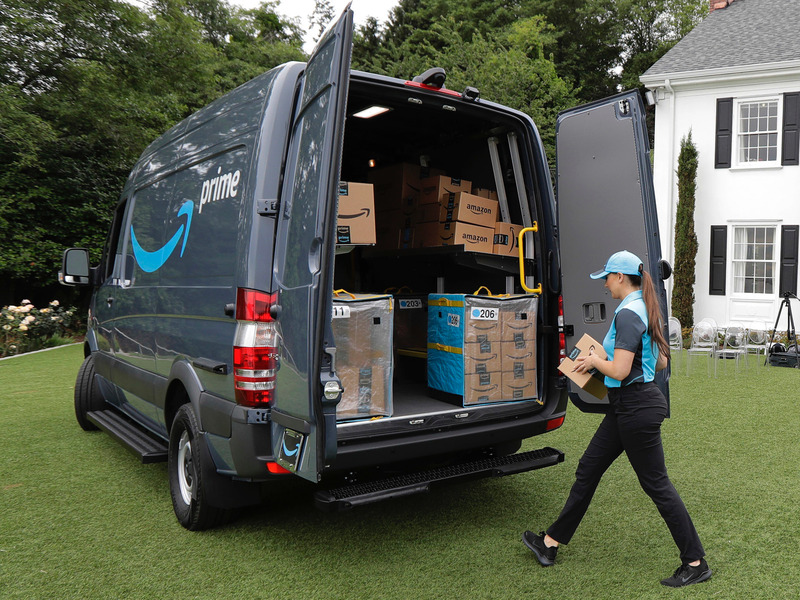 Amazon increased the cost of its Prime membership by 20% in April, partially because of increased shipping costs. “Transportation costs caught so many large manufacturers by surprise,” Dean Croke, chief insight officer at FreightWaves, told Business Insider. Retailers previously expected the same issues while moving goods in 2019. The truck driver shortage, in which America will have a shortage of 175,000 drivers by 2026, hasn’t lessened. Certain inefficiencies in the trucking industry, which moves 71% of the freight in the US, are still being resolved. And, as for the trucks themselves, there’s a giant backlog of 300,000 trucks that transportation companies have yet to receive. Despite all that, the cost to move goods have plummeted so far this year. Van trucking rates sank by 13% in January 2019 from January 2018, according to DAT Solutions. Freight rates were down last month by as much as 5.7% from December 2018. 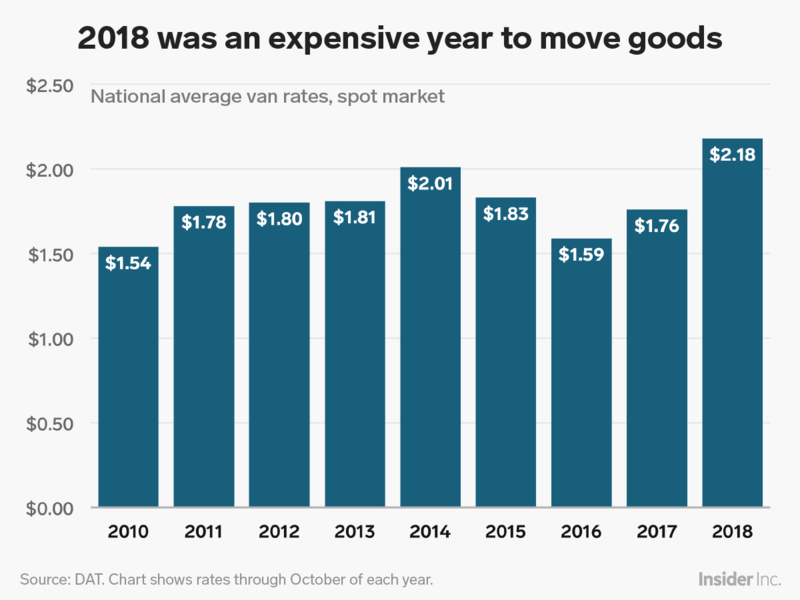 One reason for the sinking rates is that transportation companies bought a record amount of trucks in 2018, but the amount of goods that need to be moved have actually decreased. Spot market trucking capacity was up 49% in January 2019 from the year before, while the loads themselves that need to be moved are down 34%, according to DAT. A slowdown in the amount of goods that are being moved is foreboding for the overall economy, as it indicates that people are buying less stuff. But, as a result of trucking rates lowering, the sticker prices of goods like toothpaste, chocolate bars, hot dogs, and other retail goods might not see the same hike that they did last year. Have you noticed an interesting trend in logistics that no one is talking about? Contact the author at rpremack@businessinsider.com.